Making survival bracelets to support victims and survivors of domestic violence financially. Bring awareness to children and friends at school by wearing these bracelets and talking about realities of domestic violence. 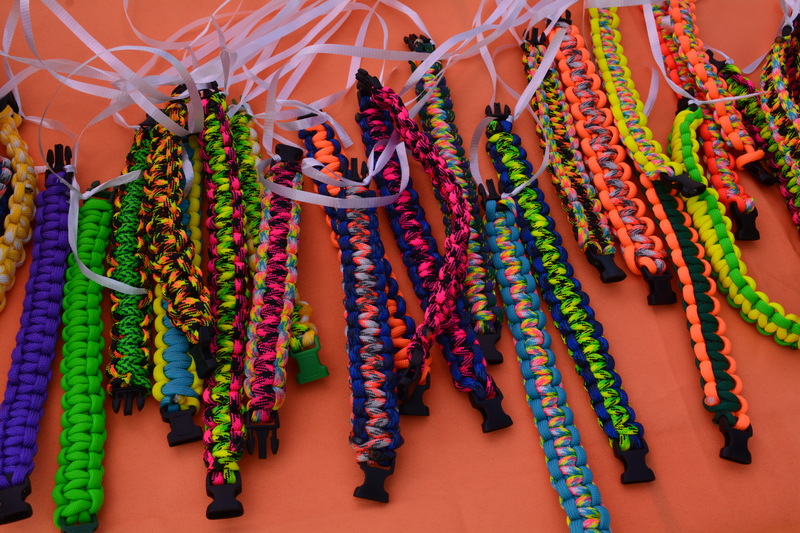 We love making these bracelets and kids love them. We thought it was cool to do it for a good cause. We got a group together and had everyone make them on their own. Then we got together after school one day and made them as a group. We made over 50 bracelets and sold them. We raised $104! Kids got to read statistics on domestic violence and were shocked. It's cool because they became aware. We can do so much more as a group. Helping people in need can also be fun.